On May 26, Paul George Styger, owner of a local public use airport in Sussex County, NJ (Sussex Airport, Inc.) pled guilty to an Information in US District Court, Newark, NJ, charging him with one count of theft in connection with embezzling more than $375,000 in Federal Aviation Administration (FAA) Airport Improvement Program (AIP) grant funds. Mr. Styger, as owner of Sussex Airport, Inc., applied for and received approximately 6 FAA AIP grants totaling more than $1.3 million to perform improvements at the Sussex airport. Mr. Styger failed to forward funds provided by the FAA to contractors who had completed improvements to the airport. Mr. Styger’s sentencing has been set for Sept. 3, 2009. This investigation was conducted by the OIG with the assistance of the Sussex County Prosecutor’s Office and the FAA. Under a plea agreement, Styger, admitted embezzling public money and agreed to make full restitution. He could face up to 10 years in federal prison. U.S. District Judge Jose L. Linares set sentencing for Sept. 3. Styger was released on $100,000 unsecured bond. Sussex Airport (ICAO: KFWN, FAA LID: FWN) is a small general aviation airport located one mile southwest of Sussex in Wantage Township, Sussex County, New Jersey. It is just outside of Sussex Borough. This public-use airport is privately-owned by Sussex Airport, Inc. It covers 96 acres and has one runway. 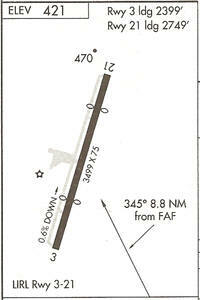 The airport air traffic operates on a Unicom frequency coordinate runway and taxiway usage. The airport has a number of small single engine planes parked on the tarmac. Some of the aircraft do not look like they have been used in some time. There are days that the airport can get busy. The Airport at one time hosted the Sussex Airshow. 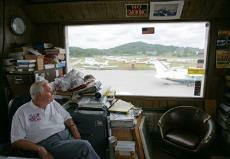 However, the owner has put the Airshow on hold while he tries to sell the airport. The airfield has been open since the early 1950’s, was until recent years was renown for its annual air shows featuring vintage planes and aircraft barnstorming shows.